Long wearing, tough utility glove with high dexterity and tactile feel. Features hook and loop, soft rubber cuff closure. Breathable, directional, washable fabric. Duraclad reinforced thumb, fingertips, and saddle. Smooth, hidden fingertip seams. Terry cloth thumb upper. Snug-tug pull tab. Abrasion-resistant, double-stitched, palm and fingertip pads. 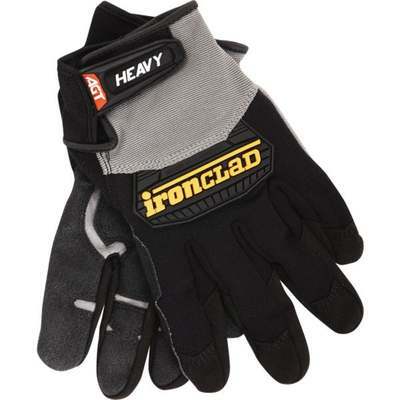 Excellent glove for demolition, material handling, and rough labor.